Properly anchoring down a safe can be the best deterrent if a thief ever lays their hands on it. It can be kind of frustrating to figure out, and it may require you to hire a professional carpenter, but it is well worth it. Safe manufacturers will often provide the proper means to anchor down a safe that are included in the cost. We do not recommend that you purchase a safe unless it comes with proper anchoring. It is not worth the hassle to get a safe custom fitted for bolting and anchoring. Just like everything else that regards carpentry, there is a multitude of different ways to anchor down the safe. The number one thing that you have to look out for is to make sure that it is done properly. Another is that the safe will not move if somebody tries to steal it. You would be surprised how quickly one man can move the safe. 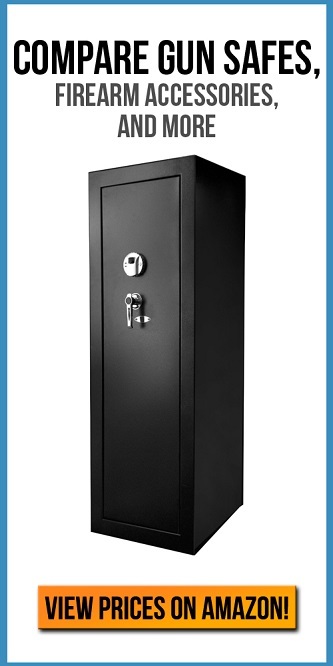 A heavy gun safe is the best option for you. Cutting corners when anchoring down a safe will yield results just like everything else that you cut corners with. The results will be less than satisfactory and may have you kicking yourself for not doing it properly if the safe goes missing. Use every single bolt that the safe manufacturer provides. Do not skip over a single one and make sure that they are done properly. The goal here is to make the burglar waste as much energy and time as possible. The longer the burglar is in your house, the less likely they are going to be successful. This is exactly what you want. First and foremost, we want to make sure that everybody understands that you should almost never bolt a safe into the wall. Anchoring your safe into a floor, particularly concrete floors, is the best way to go about this. Anchoring down into a concrete floor can be frustrating and time-consuming, so make sure that you purchase a hammer drill. You can also hire somebody to do this for you. It may cost you pretty penny, but it will cost you nowhere near as much as replacing all of your guns. Concrete floors are also a great place to anchor down gun safes because of their flatness. If it is in your basement or your garage, then odds are the concrete was laid down well and properly set. If you put the safe on an uneven surface, there’s a good chance that the lock will not work and the door may not open. This is why it is important to plan accordingly well before you purchase a safe. Failure to do so will result in you trying to install a safe, possibly voiding the warranty and then trying to return it – only to be denied. What bolts are good for anchoring down a safe? There are two different kinds of bolts. Female anchor bolts and male anchor bolts. While both of them have advantages, for most people they are going to want to go with male anchor bolts. This is because you can have the safe in place and still bolt it down. For this article, we will be going over only male anchor bolts, but you can feel free to look around for female anchor bolts if you prefer them. The number one thing you want to do when ordering bolts online is to make sure that you select the proper size. This is not something we can determine for you and will require you to make the proper measurements. This is where we recommend that you hire a carpenter unless you know what you are doing. Keep in mind that cutting into a bare concrete slab will require shorter bolts. The more you have to cut through – like laminate floors were carpet, will require longer bolts. After you determine the bolt lengths and location of where you want to anchor down your safe, it is time to get to it. Before you even put a bolt into the drilled hole, make sure you drill down much farther than you actually need. This will allow you to hammer in the bolt should you want it to be removed because male anchor bolts do not come out easily once they have been set in. In fact, most people will just hammer the bolts down further into the hole. This makes them level with the concrete and will result in nothing being snagged on them. Make sure that you follow the safe manufacturers guideline so that you do not make any mistakes.